Place one tortilla in the pan, sprinkle half of the cheese over it, followed by the pizza sauce, pepperoni, olives, the remaining cheese and finally the remaining tortilla. Cook until the quesadilla is golden brown on both sides and the cheese is melted, about 2-4 minutes per side. 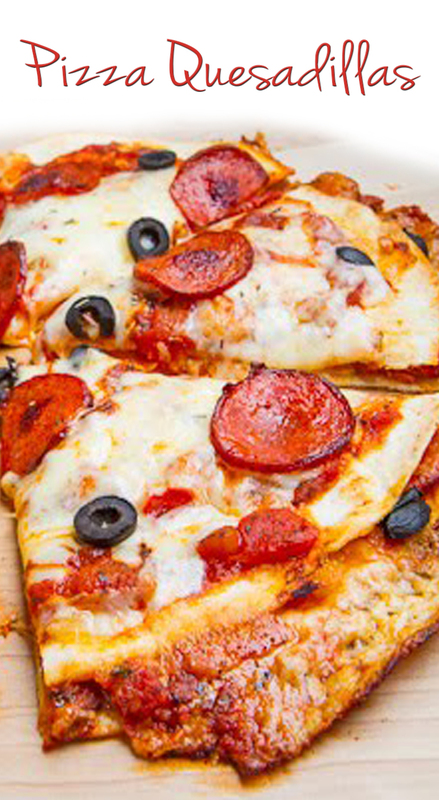 Spread the pizza sauce over the top of the quesadilla followed by the mozzarella, pepperoni and olives. Bake in a preheated 400F/200C oven until the cheese has melted, about 5-10 minutes.